I wrote an article recently about sorting generic arrays and changing direction easily in custom comparer classes here. As this is a device centric blog, using generic comparer classes is still the only (best) way to sort your collections in .NET after they have been read from SQL Server. I said at the end of the above post that I'd write a quick post on how to do this using LINQ to SQL - bearing in mind this is *not* supported on the .NET CF 3.5. 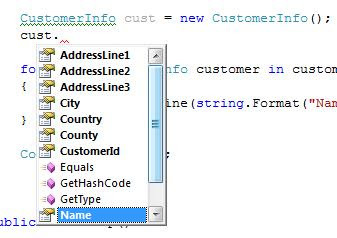 It is very simple and in fact alot easier with LINQ than in the above post. Usually new technologies come with an attached deep learning curve but with LINQ to SQL the learning curve is not that great. 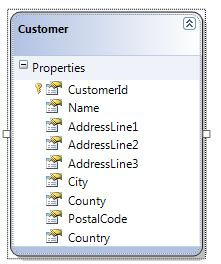 Entity Framework modeled table in Visual Studio 2008. As you can see we have the same properties available to us as we did in the comparer post that we created manually. It is a very simple table with no relations. 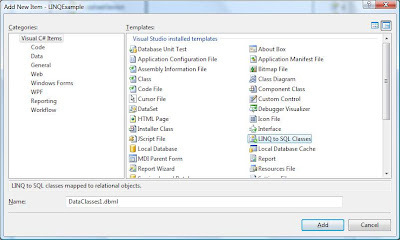 Note, in order to create a LINQ to SQL mapping, you can right click your project in VS and choose "Add new item" from the context menu, then select LINQ to SQL Classes template. I'm not going to go into too much detail on mappings and the various ways it can be done as the aim of this post is to show the syntax of sorting customer as opposed to that of using a comparer class. The code is greatly simplified in this version over our generic array and comparer and with this example we need not write multiple comparers for each column we wish to sort on. Our custom DataContext class is named TestDevContext which is my test database on this machine (Vista x64). As you can see each sort goes back to the database to get a new set of data, so SQL Server is used in this case to actually do the sort. NOTE: This article uses C# 3.0 syntax (VS 2008) if you would like to learn more about it's syntax please see here. Why would I post something about List<>.Sort() I hear you ask, because isn't everyone using LINQ yet? Well for those who have legacy code in Comparer classes who do not wish to use LINQ, and besides everyone is blogging about LINQ right? :) Also as this post is device centric, both LINQ to SQL and LINQ to Entities are not supported on CF 3.5 so we have few options. Which brings me to sorting a generic arraylist class. You can use Array.Sort(T) which uses the quicksort algorithm. Usually you have to write a comparer class for each sort type. For example, if you wanted to sort a collection of customers by country, you would normally have a comparer class named something like CustomersCountryComparer. Or if you wanted to sort by city for example; you'd have a comparer named something like CustomersCityComparer. In the *old days*, I emphasize old days as they are not really old days but pre .NET 2.0 and generics the way we would write a comparer was slightly different to how we write them today. We historically would derive from CollectionBase and implement a sort method which would provide the sort operations with a sort direction ASC or DESC, easy. But now we're all using generics, right! or should be at least for many reasons. Generic collections offer many benefits one of which is we no longer have to write an implementation of CollectionBase to hold our objects. 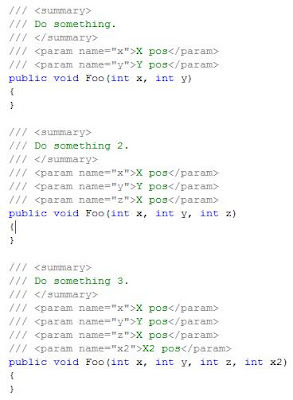 Instead today we use List<> (generic ArrayList). Which exposes a sort method. Sort()()() Sorts the elements in the entire List<(Of <(T>)>) using the default comparer. Sort(Comparison<(Of <(T>)>)) Sorts the elements in the entire List<(Of <(T>)>) using the specified System..::.Comparison<(Of <(T>)>). Sort(IComparer<(Of <(T>)>)) Sorts the elements in the entire List<(Of <(T>)>) using the specified comparer. Sort(Int32, Int32, IComparer<(Of <(T>)>)) Sorts the elements in a range of elements in List<(Of <(T>)>) using the specified comparer. This is all fine and dandy, but often requirements state that they want to sort ascending or descending. How do you do this with the overloads defined above? You can't, the information has to be passed to the comparer, so when the List invokes Sort, comparer tells it which direction to sort to. This post will show an example on how to achieve this. This list could have been returned from a data layer in Country order ascending. But what if the user now wants to see the list of customers in City order descending. 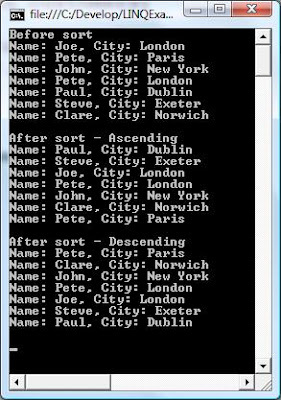 Do you go back to the SQL Server and get a new collection of objects based on the new query or do you manipulate the current set of data and display this to your user? The fastest way would always be to manipulate the data you already have rather than go back to the database. So this is where the Comparer class comes into the equation. Before using our own comparer that we will pass to the Sort method of the List<> class, what happens if we call the default Sort method without passing over a IComparable instance? Why didn't it work? It didn't work because CustomerInfo does not implement the IComparable interface. Instead we use a cleaner solution to implementing a IComparable for the colums of interest. So what we'll do next is write a simple comparer class which we will feed into the arraylist class sort method. The interface that we'll need to implement is the IComparer. /// 1. Less than zero (x is less than y). /// 2. Zero (x is equal to y). /// 3. Greater than zero (x is greater than y). Fairly trivial code. We use the CompareTo method because we are comparing string objects and not integers. Notice we have defined a constructor with a passing enum value type named SortBy. This forces the consumer to pass a sort type rather than defaulting to one. Also note we have created a read/write property named SortBy which allows the consumer to change the sort direction of the comparer without creating a new instance of the object. I've written a simple bit of code that creates a collection of customers and sorts acending and decending based on the City the customer is based. If we wanted to sort on different fields then we would create another custom comparer. 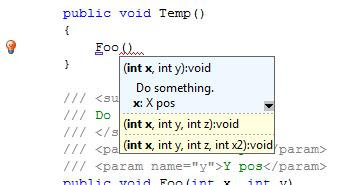 Of course LINQ to Entities makes this much easier. 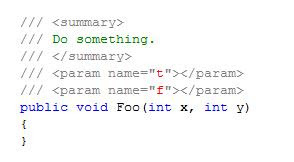 I will write a simple example on implementing this using LINQ in my next article. - Please note though, LINQ to entities are not supported on devices. Tech-Ed Developers EMEA 2008 has recently been opened for registration. Super early bird is available until 31st July. It's still early days so the sessions haven't been announced yet. · UI Framework: Beta 2 includes improvements in animation support, error handling and reporting, automation and accessibility support, keyboard input support, and general performance. This release also provides more compatibility between Silverlight and WPF. · Rich Controls: Beta 2 includes a new templating model called Visual State Manager that allows for easier templating for controls. 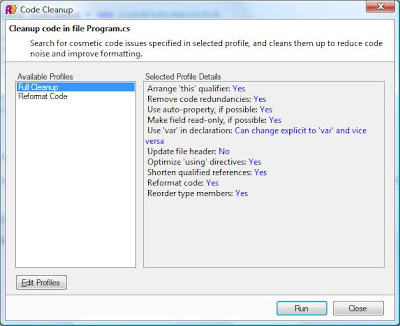 Other features include the introduction of TabControl, text wrapping and scrollbars for TextBox, and for DataGrid additions include Autosize, Reorder, Sort, performance increases and more. Controls are now in the runtime instead of packaged with the application. · Networking Support: Beta 2 includes improved Cross Domain support and security enhancements, upload support for WebClient, and duplex communications (“push” from server to Silverlight client). · Rich Base Class Library: Beta 2 includes improved threading abilities, LINQ-to-JSON, ADO.NET Data Services support, better support for SOAP, and various other improvements to make networking and data handling easier. · Deep Zoom: Beta 2 introduces a new XML-based file format for Deep Zoom image tiles, as well as a new MultiScaleTileSource that enables existing tile databases to utilize Deep Zoom. Better notification for sub-images enter the view is another improvement in Silverlight 2 Beta 2. · RIA: Based on proven .NET technology, Silverlight provides unparalleled productivity by enabling the reuse of skills, codes and assets. · Silverlight 2 includes over 40 new controls, cross-domain networking support for calling REST, WS*/SOAP, POX, RSS, and standard HTTP services and a rich .NET base class library of functionality (collections, IO, generics, threading, globalization, XML, local storage, etc). · Silverlight 2 also introduces Deep Zoom, which offer unparalleled interactivity with high resolution content. · Media/Advertising: Silverlight offers true HD video and the lowest TCO solution for media delivery and consumption. Microsoft is enabling new business opportunities by making it easier to build ads that plug into Silverlight and work with myriad network and syndication providers in the ecosystem. With support for Atlas and DoubleClick we are just at the tipping point of the amazing business opportunities possible with Silverlight. · Mobile: Silverlight dramatically simplifies the design, development and delivery of rich interactive applications and services on the Web, desktop, and devices. Silverlight offers multiple benefits to the mobile industry including compelling cross-platform mobile experiences, multi-channel revenue opportunities, and industry leading application platform and tools. o In addition to existing customers around the world such as Entertainment Tonight, NBA, MSN, Hard Rock, Home Shopping Network, BMW, BBC, Yahoo! Japan, and Baidu, Microsoft is looking forward to a strong line up of new content that will be based on Silverlight 2. Notable examples include the upcoming Beijing Olympic Games and the Democratic National Convention. o Beijing Olympic Games will deliver to millions of online users exclusive access to an unprecedented offering of over 3000 hours of live and on-demand video content. The combination of MSN’s audience reach and Microsoft’s Silverlight technology will allow NBC to deliver Olympics content to a broad U.S internet audience - all through an immersive and interactive video experience that will redefine how sports fans consume content online. o Democratic National Convention will leverage Silverlight 2 to deliver all four days of live convention coverage via live footage, data feeds, archived content, and speaker information overlays. o Over the last few months, the Silverlight Partner Initiative has grown significantly, comprising more than 85 members from content delivery networks, design agencies, ISVs and solution providers. This will further fuel the adoption of Silverlight, and provide monetization opportunities for partners. Silverlight and Expression Studio are core technologies for enabling better user experiences on the desktop, Web and beyond. Microsoft’s user experience approach is part of the broader Microsoft Application Platform strategy, formed with the goal of helping customers realize the benefits of more dynamic applications. When are the Silverlight 2 Beta 2 bits going to be available? What is new in Silverlight 2 Beta 2? A full list of improvements and updates will be included in the release notes with the Silverlight 2 Beta 2 download. What are the features of Silverlight 2? Silverlight 2 builds on the foundation of Silverlight 1 but significantly extends the original development framework at every point. The most important innovation that Microsoft brought to bear with Silverlight 2 is its support for managed code. Because Silverlight 2 incorporates the core CLR classes, the runtime provides much richer networking stack support, including REST, RSS, JSON and POX and full support for LINQ including LINQ to SQL and LINQ to XML. In addition to supporting C#, VB.NET and other managed code languages, Silverlight 2 includes support for Dynamic languages including Ruby and Python as well as a 2 way HTML/AJAX bridge for full integration of Silverlight with AJAX-enabled applications. 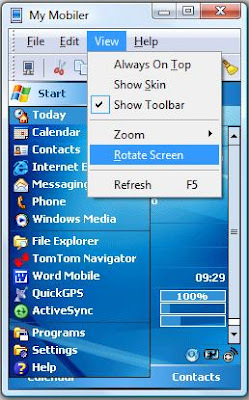 With regard to user interface controls, Silverlight 2 adds over two dozen controls (such as button, check box, date controls, gridview, layout) that are designed to be used either right out of the box, or after being tweaked with styles. With Silverlight 2, the user interface controls are completely customizable, as the appearance of any control can be fully determined by templates and control behavior can be modified by hooking events or by creating custom controls. Similar to the layout controls in WPF, the new Silverlight 2 layout controls significantly enhances the ability to optimize the overall design of the UI. Finally, Silverlight 2 controls can now provide one way or two way databinding to any number of data sources including LINQ, in a highly scalable architecture that abstracts out the binding object. Finally, Silverlight 2 provides secure client-side persistence through Isolated Storage. This dramatically reduces bandwidth requirements for any given RIA, as data can be cached locally on the client. Should developers/organizations wait until Silverlight 2 RTW to build applications? No. Silverlight 2 Beta 2 is a very stable and high quality build that comes with a commercial go-live license. Microsoft encourages developers to deploy their mission-critical applications on this release. For example, NBC will deploy a large, mission-critical rich media site, NBCOlympics.com, using Silverlight 2 Beta 2. Will my applications built on Silverlight 2 beta 1 be compatible with Silverlight 2 Beta 2? Silverlight 2 Beta 2 introduces some changes that will break certain applications targeting the previous version of the beta, Silverlight 2 beta 1 (which is one of the main reasons that Microsoft recommended not using Silverlight 2 beta 1 for commercial deployment purposes). For a run down on the changes and work-arounds please visit: www.silverlight.net. Will my applications built using Silverlight 2 Beta 2 be compatible with the RTW release? The next release introduces changes that will require developers to update their code. These changes are required to add more features, increase performance and stability. Will my applications built using Silverlight 1 be compatible with Silverlight 2 Beta 2? Is Silverlight 2 Beta 2 compatible with Visual Studio 2008 and the .NET Framework 3.5 SP1 betas? When will Silverlight 2 RTW? We are on track for RTW in the Fall of 2008. What are the key features of Silverlight 3? We haven’t made any announcements regarding Silverlight 3. Right now we are concentrating on getting Silverlight 2 out the door. When can we expect a beta of Moonlight? Wasn’t it supposed to be released 6 months after Silverlight 1 RTW? When will Microsoft release Silverlight for devices? 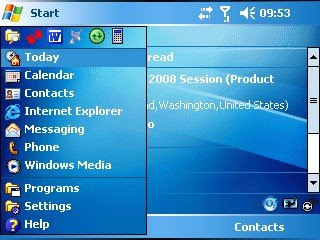 At MIX08 Microsoft announced its intentions to deliver Silverlight on mobile devices with a focus on Windows Mobile and Nokia based (S60, S40, N8xx Internet Tablet) devices as a first priority. 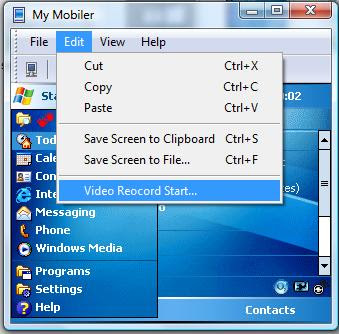 To date, Microsoft has created an invitation only private alpha program for Silverlight on Windows Mobile devices. Stay tuned to PDC in October 2008 for the next round of details and a broader public release. What is the number of Silverlight downloads to date? What is the latest the company is saying on adoption? · In addition to existing customers around the world such as Entertainment Tonight, NBA, MSN, Hard Rock, Home Shopping Network, BMW, BBC, Yahoo! Japan, and Baidu, Microsoft is looking forward to a strong line up of new content that will be based on Silverlight 2. Notable examples include the upcoming Beijing Olympic Games and the Democratic National Convention. · Beijing Olympic Games will deliver to online users exclusive access to an unprecedented offering of over 3000 hours of live and on-demand video content. The combination of MSN’s audience reach and Microsoft’s Silverlight technology will allow NBC to deliver Olympics content to a broad U.S internet audience - all through an immersive and interactive video experience that will redefine how sports fans consume content online. · Democratic National Convention will leverage Silverlight 2 to deliver all four days of live convention coverage via live footage, data feeds, archived content, and speaker information overlays. · Over the last few months, the Silverlight Partner Initiative has grown significantly, comprising more than 85 members from content delivery networks, design agencies, ISVs and solution providers. This will further fuel the adoption of Silverlight, and provide monetization opportunities for partners. What’s momentum been like for Silverlight? We continue to see a significant number of downloads of Silverlight on a daily basis. As more and more customers launch their own Silverlight applications, we expect that number to continue to grow. NBC/Olympics: NBC Universal has chosen to partner with Microsoft to make “NBCOlympics.com on MSN” the official online home of the 2008 Summer Olympics in Beijing, China. NBCOlympics.com on MSN will provide online users with exclusive access to an unprecedented offering of over 3000 hours of live and on-demand video content. The combination of MSN’s audience reach and Microsoft’s Silverlight technology will allow NBC to deliver Olympics content to a broad U.S internet audience - all through an immersive and interactive video experience that will redefine how sports fans consume content online. Hard Rock: Hard Rock is using Silverlight to enhance its showcase of celebrity paraphernalia on its Web site. But, to give you an idea of what this entails, say a site visitor wants to check out Eddie Vedder’s guitar – the visitor could spin it in 3-D, perform a deep zoom and check on the scratches from when Eddie has banged it up on stage, etc. Some cool stuff to give fans closer access to celeb paraphernalia. Weatherbug: Weatherbug is able to utilize Silverlight on Mobile Platforms as well as in a traditional PC/Mac environment to deliver a consistent user experience by re-using XAML assets across all platforms, in a cost effective manner by being able to use the same client side logic and back end services with only the need to customize some device specific keyboard and interaction handling. Did Microsoft fund the deal with NBC to deliver the Olympics online via Silverlight? Will the NBC Olympics effort will run on NBC servers, MS servers or 3rd party servers? How is Silverlight different than Flash? Flex? Adobe AIR? Some of the scenarios for Flash and Silverlight usage are similar, such as rich media/video within websites, or interactive rich content for e-commerce, e-learning, or advertising. However, Silverlight uses a dramatically different approach for creating and delivering experiences in a way that aligns more with our customers’ development and deployment needs. 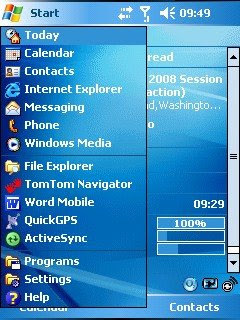 Platform: Microsoft’s client/web platform offerings span Windows to the Web, and include emerging surfaces such as the media/living room (Xbox360, Media Center PC), as well as mobile devices. Each of these platforms has shared capabilities and development tooling, but greatly different performance and integration characteristics. By comparison, Flash, Flex, and AIR are all variants of the Flash animation plug-in that Adobe acquired from Macromedia. They share a presentation and programming framework that was first developed for “skip-intro” and other pre-broadband experiences in the browser, and have incrementally evolved to add better programming, but lack the integration, performance, and tooling necessary to build many of the apps and content experiences that will be increasingly of interest to many businesses. Tools: Silverlight, WPF, and ASP.NET AJAX share development and design tooling support with Microsoft Expression and Visual Studio product lines. With these tools, designers and developers can collaborate more effectively than ever before to design and implement superior UX. Adobe’s tooling and application frameworks are very focused on animation and cosmetic design, traditionally for the creative professional and not the application development audience. Flex: For enterprise line of business (LOB) applications, Microsoft offers a breadth of solutions for building business applications that directly integrate with Microsoft Office, as integral parts of the Excel, Word, PowerPoint, and SharePoint Server experience. Flex is a new technology built on the Flash animation plug-in which allows developers to build richer Web-based UI and connections to server data. However, Flex lacks deeper integration into the environment where most of these LOB applications are used. Adobe AIR: Web standards based development using AJAX is a proven technology for developing compelling and easy to deploy applications to the desktop with zero-touch requirements for additional client side infrastructure. Microsoft has shown continued innovation and commitment to this space with our Internet Explorer browser, our Live services, and our ASP.NET AJAX scripting capabilities for server code that delivers compliant Web standards to Mac and Windows clients. Where experiences that more fully integrate with the desktop are of interest, .NET Framework can be used to build full-trust, fully-integrated applications for the Windows OS. [Windows Vista and the .NET Framework 3.0 are shipping now, and hundreds of ISVs are delivering applications that use these proven technologies for both LOB and consumer facing content and applications. Adobe just released Flash 10 beta which includes support for features like 3-D and custom filters. When will Microsoft offer similar support with Silverlight? Silverlight 2 supports managed code, includes the core of the CLR and adds over two dozen user interface controls (such as button, check box, date controls, gridview, layout, etc.) that are designed to be used right out of the box, or to be tweaked with styles. If you need full control over the look and feel, the appearance of any control can be fully determined by templates and control behavior can be modified by hooking events, or, ultimately by creating custom controls. Overall design is enhanced by new layout controls familiar from WPF and, Silverlight controls can provide one way or two way databinding to any number of data sources including LINQ, in a highly scalable architecture that abstracts out the binding object. Because Silverlight 2 incorporates the core CLR classes, it provides much richer networking stack support, including REST, RSS, JSON and POX and full support for LINQ including LINQ to SQL and LINQ to XML. In addition to supporting C#, VB.NET and other managed code languages, Silverlight 2 includes support for Dynamic languages including Ruby and Python and a 2 way HTML/AJAX bridge for full integration of Silverlight with AJAX-enabled applications and Silverlight 2 provides secure client-side persistence through Isolated Storage. Is customer support offered with the Expression Blend 2.5 June 2008 Preview? Support for pre-release products is offered on the Microsoft Discussion forum where you can solicit feedback and help get your questions answered by the Expression community. You can find the discussion forum here. When will Expression Blend 2.5 be final? We have not announced a release schedule for Expression Blend 2.5 however it is our intention to release it as soon as possible after Silverlight 2 is finally released. When will Expression Studio 3 be released? We have not announced a release schedule for Expression Studio 3. Is Expression Blend 2.5 compatible with the tools in Expression Studio 2? Does Expression Blend support Silverlight 2? Expression Blend will fully support Silverlight 2 in a future release. At TechEd we released an updated preview of Expression Blend 2.5 (Expression Blend 2.5 June 2008 Preview) to enable designers to start immediately exploring the power of Silverlight 2. We are currently evaluating how best to release this to market once Silverlight 2 is finally released, however we are committed to releasing preview versions to support the Silverlight 2 preview versions. Customers who purchase Expression Studio 2 or Expression Blend 2 will receive the future version of Expression Blend that supports Silverlight 2 for free. Are the features in Silverlight 2 Beta 2 exposed in Expression Blend 2.5 June Preview? A large number of the features of the Silverlight 2 Beta 2 are available, specifically those which focus on the visual, design aspects of the platform. Is Expression Blend 2.5 June 2008 Preview compatible with Visual Studio 2008 SP1? Where can I download Expression 2.5 2008 June Preview? Why isn’t the full Expression Studio included in MSDN Subscriptions? We recognize the tremendous interest in the Microsoft Expression product line within the existing MSDN subscriber community and have included Expression tooling in the premium MSDN subscription levels as a result. · Visual Studio Team System 2008 Team Suite with MSDN Premium includes Expression Studio. · All other MSDN Premium levels include Expression Web and Expression Blend. Developers with design responsibilities want access to Expression just as designers with development responsibilities want access to Visual Studio. We provide tooling for each group with the MSDN subscription levels above--for developers who do design--and the new Expression Professional Subscription--for designers who do development. Which Expression products are included in each MSDN subscription level is a business decision reflecting our desire to continue meeting the needs of professional developers while delivering an "MSDN for Designers" option that appeals directly (and uniquely) to professional designers. What is the Silverlight Tools Beta 2 for Visual Studio 2008? Do I need to download Silverlight Tools Beta 2 for Visual Studio 2008 to build Silverlight 2 applications? Microsoft recommends downloading and using Silverlight Tools for Visual Studio to take advantage of features such as a visual design surface, intellisense, automatic build/packaging of XAP which makes it easier and more productive when building applications. It is a free add-on to VS. However, it is possible to build Silverlight applications using any text editor with the SDK. Where can I download Silverlight Tools Beta 2 for Visual Studio 2008?